Among the highlights of Let Us Go into the House of the Lord was the track "Oh Happy Day," which unexpectedly found a home on underground FM play lists across San Francisco; the single soon began earning airplay on mainstream R&B and pop outlets across the country, and in the spring of 1969 it reached the U.S. Top Five on the on its way to selling an astounding seven million copies and taking home a Grammy award. At this time the choir was rechristened the Edwin Hawkins Singers, although the featured voice on "Oh Happy Day" belonged to singer Dorothy Combs Morrison, who soon exited in pursuit of a solo career. Her loss proved devastating to Hawkins' long-term commercial fortunes, although in 1970 the ensemble did make a return appearance on the pop charts in support of Melanie on her hit "Lay Down (Candle in the Wind)." Still, Hawkins remained a critical favorite, and in 1972 the Singers won a second Grammy for Every Man Wants to Be Free. Recording prolifically throughout the remainder of the decade, in 1980 they won a third Grammy for Wonderful; a fourth, for If You Love Me, followed three years later. In 1982, Hawkins also founded the Edwin Hawkins Music and Arts Seminar, an annual week-long convention that offers workshops exploring all facets of the gospel industry and culminating each year with a live performance by the assembled mass choir. Although Hawkins recorded less and less frequently in the years to follow, he continued touring regularly, including a series of 1995 dates with the Swedish choir Svart Pa Vitt. His Music and Arts Seminar continued to grow as well, with the 2002 choir including members from the U.S., Europe, and Japan. Hawkins also recorded throughout the 2000s, releasing All the Angels in 2004 and Have Mercy four years later. 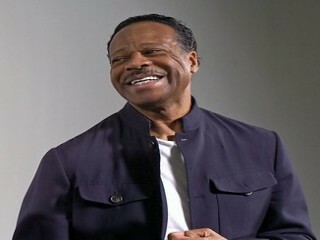 View the full website biography of Edwin Hawkins.